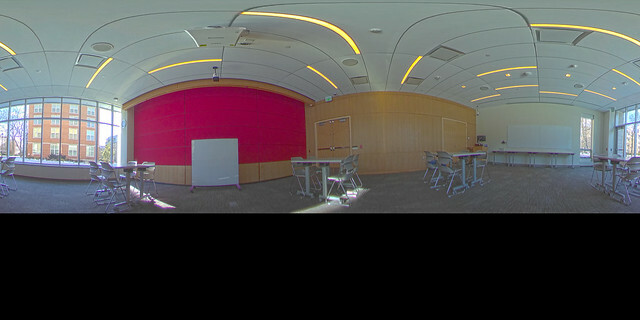 Active Learning Environments provide cooperative learning spaces that encourage student collaboration and peer teaching. Their technology allows students to present their work for review by peers and instructors. The furniture is designed to facilitate small-group work and the ability for instructors to interactively coach students during activities. They offer new options for students to refine their cooperative team skills, to build confidence, and to respect others’ perspectives. 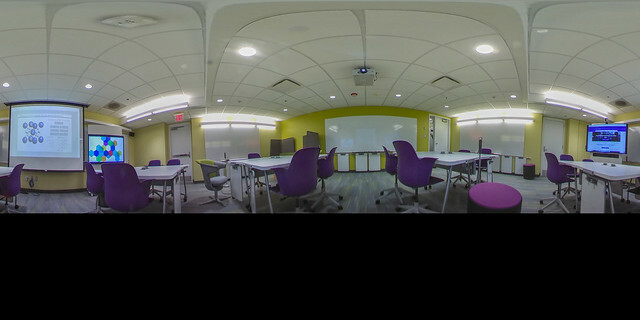 Active learning environments can be found across the Evanston and Chicago campuses. 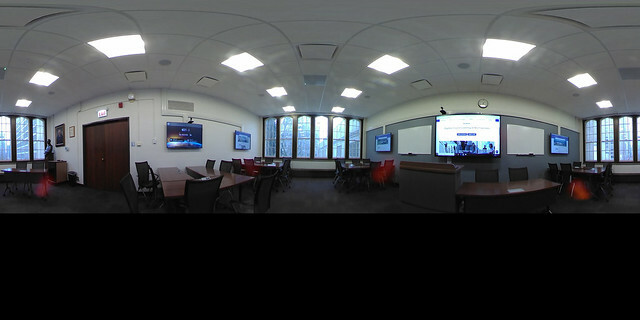 Depending on the owner of the room, the spaces can be reserved one of three ways: through the Office of the Registrar, Northwestern's Room & Events System (RES) 25Live, or by contacting the room owner directly. Each of the listings that follow include reservation information as well as a 360° capture of the room so you can view it and confirm it meets the needs of your class or event. Classrooms in 560 Lincoln St. must be reserved directly through Residential Services. 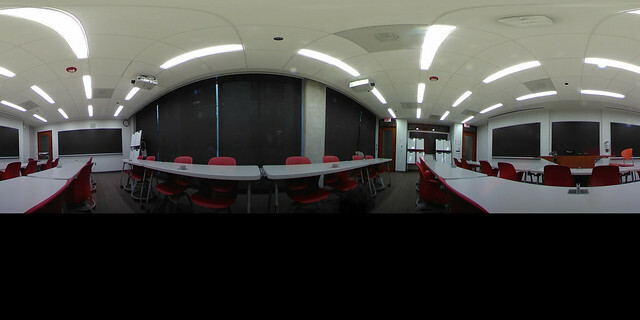 560 Lincoln St. has one large active learning classroom which can be split into two rooms via a drop-down wall divider. 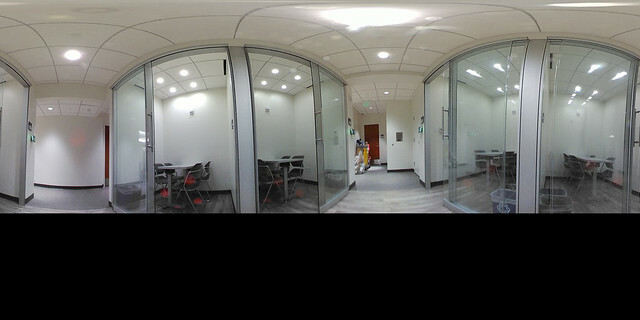 Annenberg Hall contains two active learning classrooms: G02 and 303. 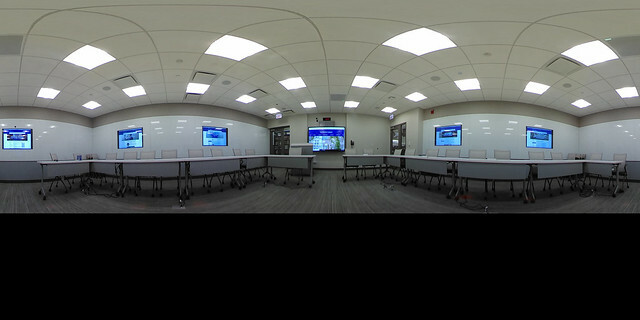 Annenberg 303 is a large learning space, with a multi-display unit and video conferencing capabilities. 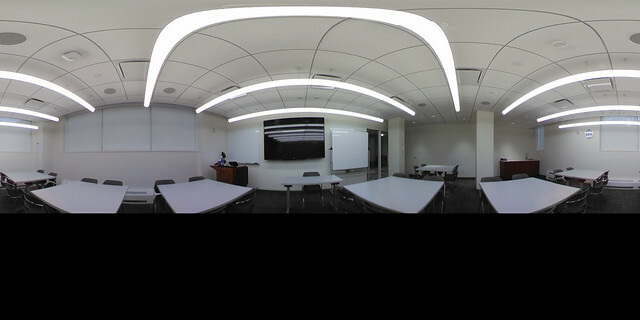 Annenberg G02 is a large learning space, recently redesigned to include state-of-the-art HD displays and conferencing technology. Available to reserve through the Office of the Registrar for ongoing classes and through 25Live for one-off events. Rooms must be reserved directly through The Garage. 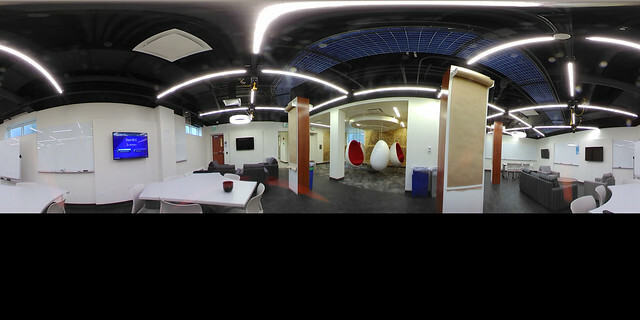 The Garage is Northwestern's hub for student entrepreneurship and innovation. The 11,000 square foot space located in the University’s North Campus Parking Garage provides a unique educational space for students to experiment, collaborate and build new ideas. 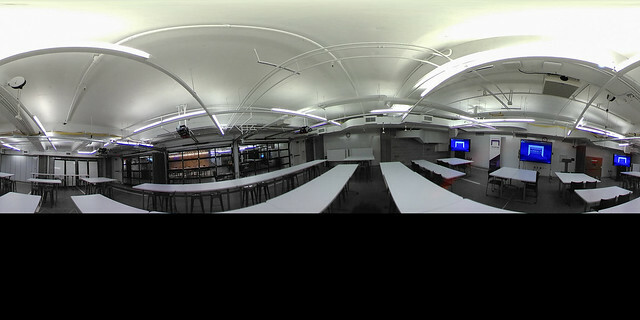 The Garage has one active learning classroom called The Workspace which is available to reserve. 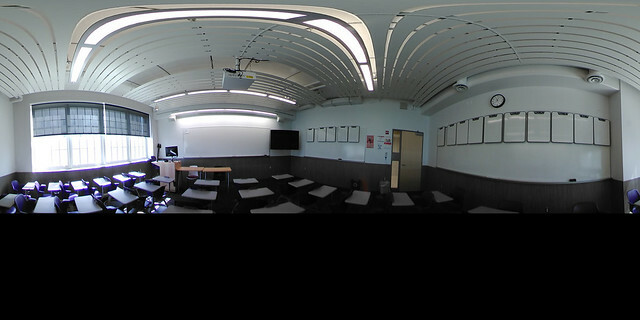 It is ideal for large classes and special events of up to 100 people. 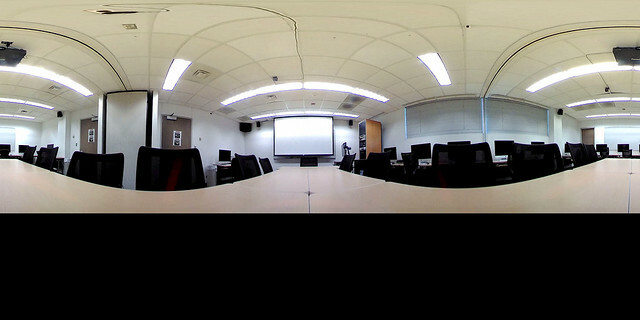 The room can be set up lecture-style, in small work groups, or with rows of chairs. In addition, the Garage offers a number of third spaces, including a cafe, a Makerspace, and a number of various sized conference rooms. Rooms must be reserved directly through Kellogg. Availability is posted in 25Live by searching "KGH" on the Locations tab. 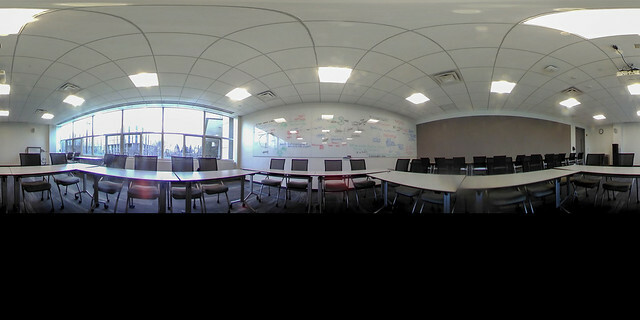 All of the classrooms in the Kellogg Global Hub are Active Learning Classrooms. They come in a two basic configurations. 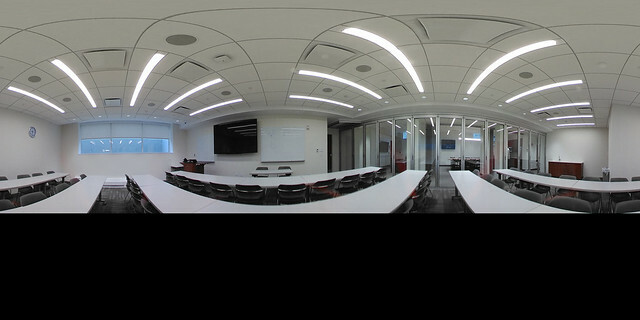 Global Hub 2110 is representative of most of the available regular-sized classrooms (seating up to 48). 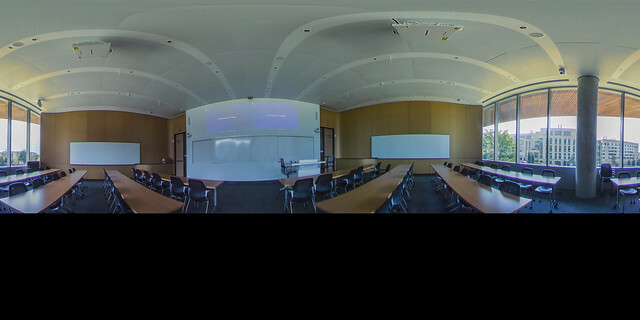 Global Hub 1420 & 1430 are representative of the larger format classrooms (seating up to 140). Note that the room can be divided in two for two seperate 70-seat rooms. The room divider can be raised and lowered as needed. 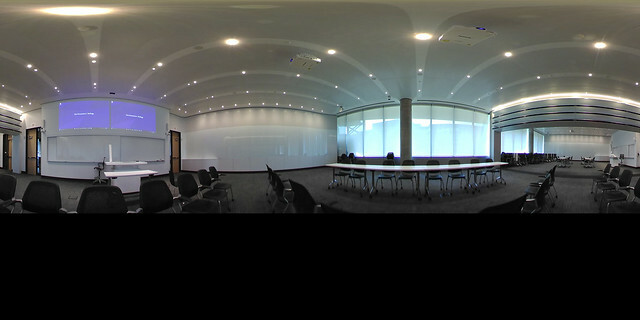 For a full list of the rooms avaialable and their attributes, please contact Kellogg Global Hub Facilities. 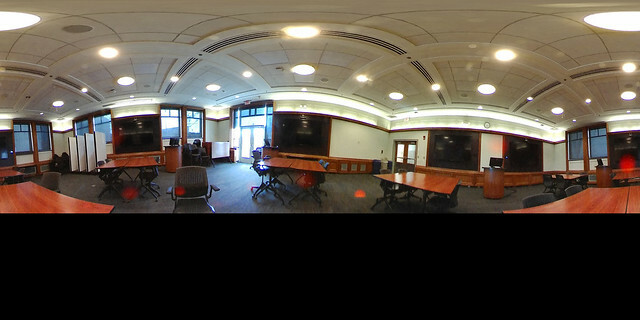 All of the classrooms in Kresge Centennial Hall available to reserve through the Registrar (and listed at the bottom of this section) are Active Learning Classrooms. They come in two basic configurations. 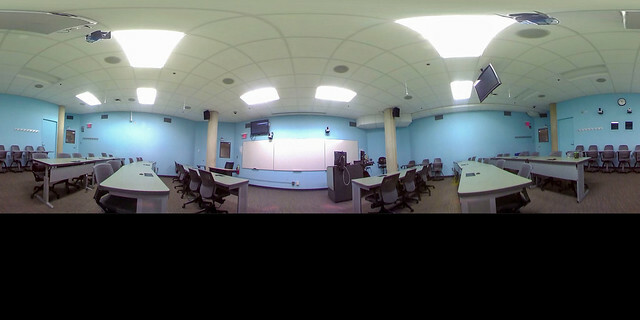 Kresge 2-415 is representative of the larger format classrooms in Kresge (seating up to 60). Room attributes are the same as the smaller rooms, with the exception of more screens placed around the room. Rooms must be reserved directly through The Library. 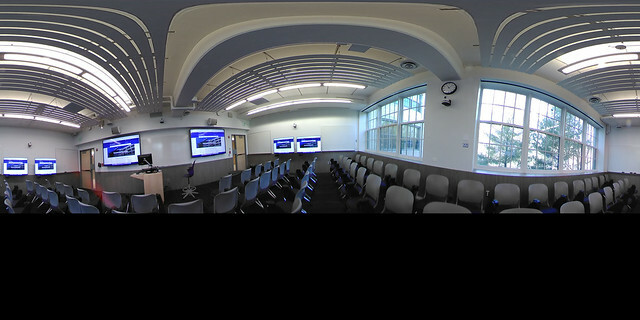 Equipped with multiple projections screens and flexible furniture, the active learning classrooms are designed for interactive, student-centered learning experiences. Classrooms will be available soon for reservation. Please contact mudd@northwestern.edu for more information. Consult the Library's page for more information on these rooms. 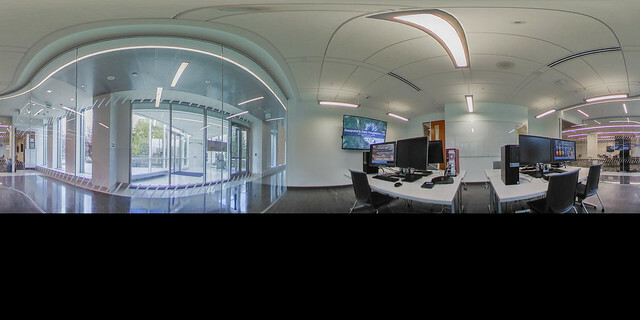 The Device Lab must be reserved directly through The Knight Lab. 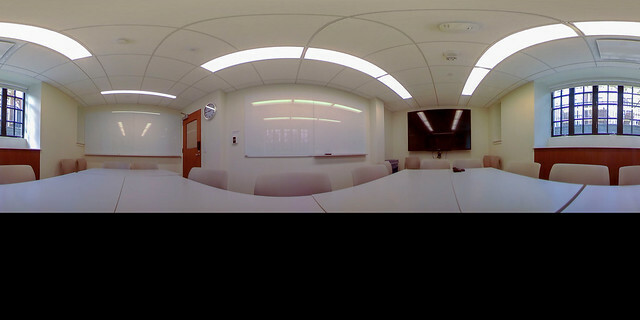 The Northwestern University Device lab is located at Fisk Hall, first floor. It is open every weekday from 11am-4pm, with students staffed to help you. 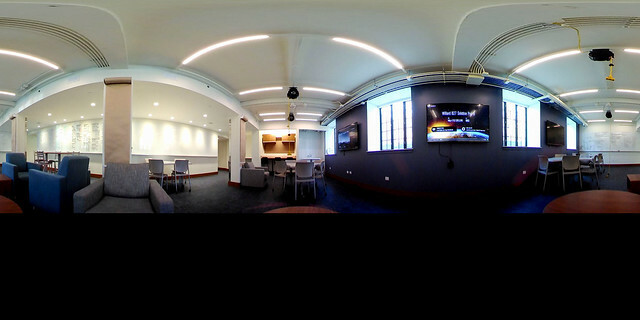 The Device Lab is a playground for anyone at Northwestern interested in experiencing and experimenting with the new technologies now available that are actively shaping the future of storytelling. 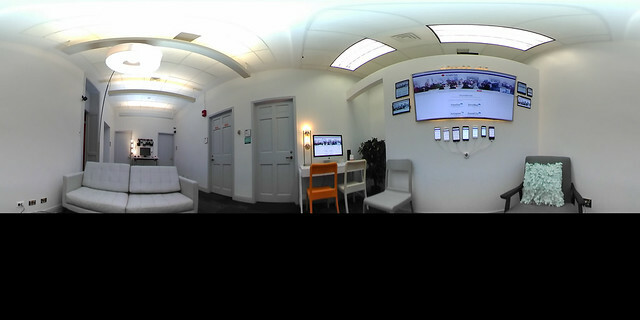 Mobile Devices – the display setup on the west wall of the Lab can instantly show the same website on a range of phones, tablets and devices so you can see how users of each device will see that site. Virtual and Augmented Reality – the Lab maintains a collection of the latest headsets for both VR (Virtual Reality) and AR (Augmented Reality). Living Room – includes devices one might have in their living room such as the Sony PlayStation 4, XBOX One, and the Apple, Android, and Amazon Fire TV devices. Voice Interaction – includes voice-activated devices such as the Amazon Echo and Microsoft Cortana. Physical Prototyping – includes devices to enable quick prototyping, such as 3D printers and assorted Arduino, Raspberry Pi, and circuit building kits. Media Production – includes innovated recording devices like the GoPro Omni (VR system), Samsung 360 Camera gear, and 3D scanners. 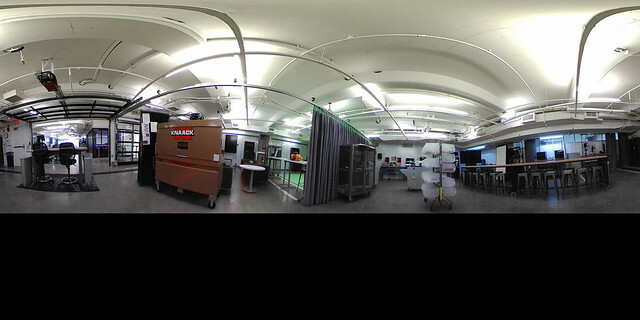 In addition, the Device Lab is also home to a dedicated podcast studio and drones which are available to reserve. See the official page on the Knight Lab site for the full list and details. Classrooms in Shepard Hall must be reserved directly through Residential Services. 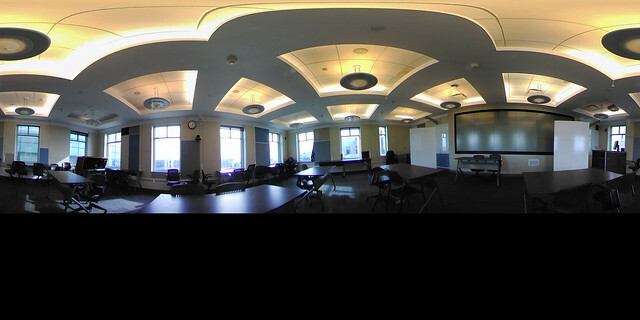 Two active learning classrooms in Shepard Hall are available to reserve through Residential Services: B05 and B25. B25 has a max capacity of 50, and the room attributes are the same as B05. 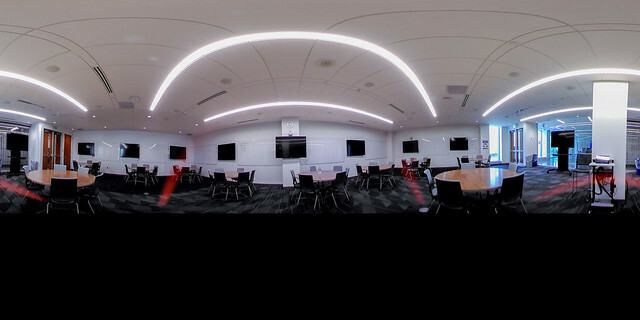 In addition to the active learning classrooms, the Shepard Engagement Center where the classrooms are located offers lounges, a demo kitchen (on the other side of the floating dividers of B25) , as well as quiet study and meditation rooms. 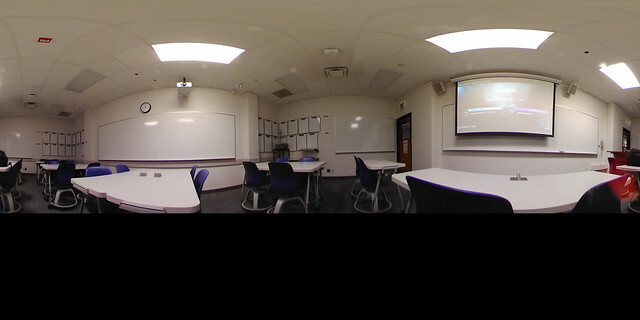 Two active learning classrooms in Tech are available to reserve through the Registrar: M349 and F281. Tech F281has a max capacity of 28, and the room attributes are the same as M349. The Innovation Lab must be reserved directly through the Library. Fill out this form to request the room. 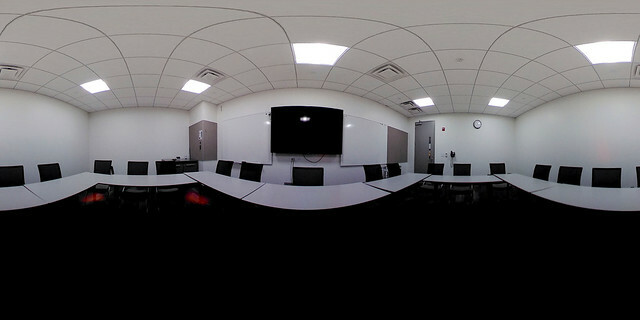 The Innovation Lab (or NU Library B183) is a teaching innovation lab, where instructors and students can experiment with active learning techniques and interactive tools. 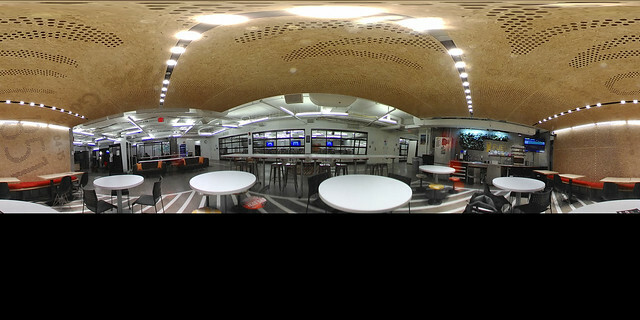 It is a flexible space with easily moveable furniture that can be infinitely reconfigured and several technologies that enable collaboration and a democratizing of the classroom. 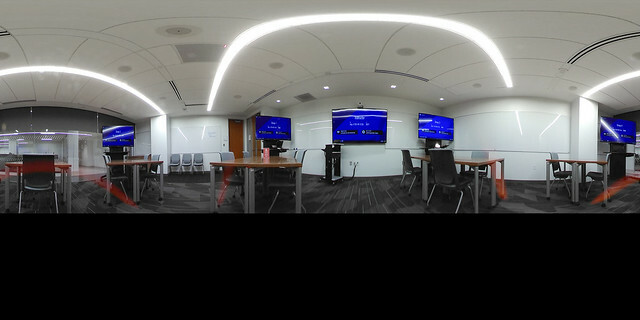 These include digital technologies like Solstice and Cisco Spark board for wireless content sharing and whiteboards and sketch tables for more analog work. Classrooms in Willard Hall must be reserved directly through Residential Services. 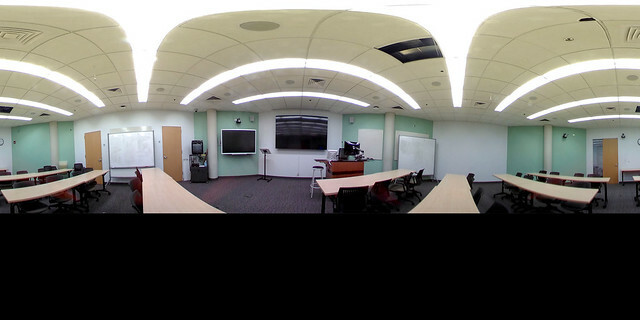 Two active learning classrooms in Willard Hall are available to reserve through Residential Services: B06 and B72. 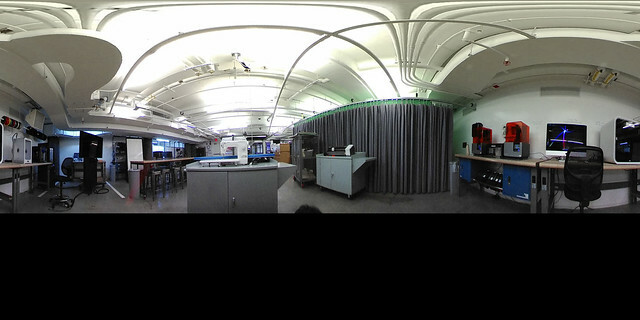 There is also a Maker Space for collaborative group work. Rubloff 203 must be reserved directly through The Law School. Rubloff 203 is equipped with movable tables for flexible seating arrangements, a large touchscreen for the resident PC, Solstice wireless connectivity, and smaller screens for local viewing, and team projects. There are two cameras and mic arrays for conferencing. Room capacity is 28. McCormick 371 must be reserved directly through The Law School. McCormick 371 is equipped with movable tables for flexible seating arrangements, a large touchscreen for the resident PC, Solstice wireless connectivity, and smaller screens for local viewing, and team projects. There are two cameras and mic arrays for conferencing. Room capacity is 28. Savner Hall must be reserved directly through The Law School. 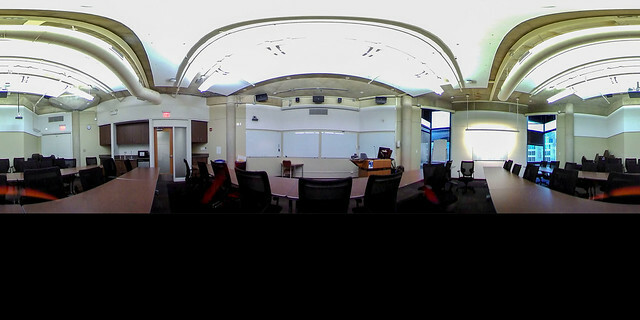 Located in the Arthur Rubloff building, Savner Hall is a 25-seat classroom that incorporates state-of-the-art technology to enhance the teaching and learning experience. 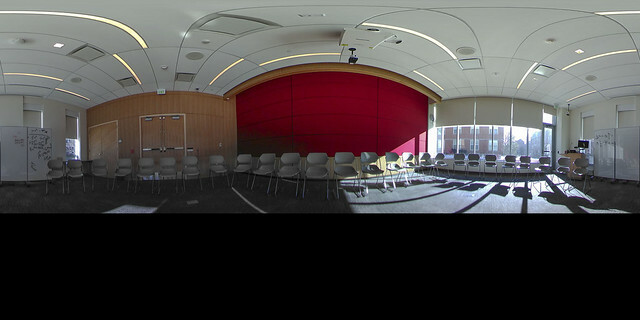 Thorn Auditorium must be reserved directly through The Law School. 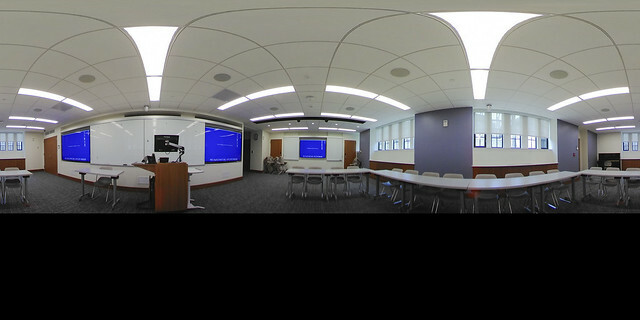 Located in downtown Chicago just steps from Michigan Avenue shopping and dining, Northwestern Pritzker School of Law's Thorne Auditorium is a tiered seating venue available for lectures, corporate events, performances, and more. 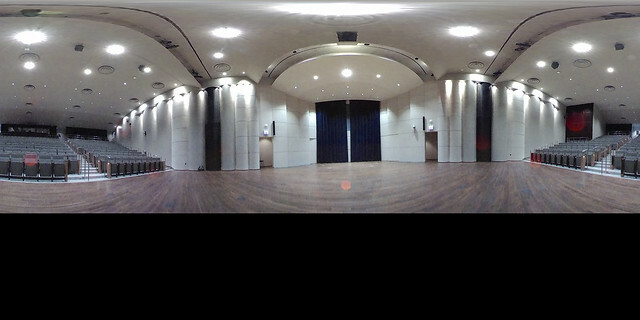 Thorne Auditorium is the largest event space available at the school. The adjacent lobby is also available for rental. You can request an active learning classroom through the Registrar's Course Leaf Section Scheduler (CLSS). For ongoing room requests besides classrooms, please consult the Scheduling page on the Office of the Registrar’s website. To reserve your desired room, you’ll need to fill out the Registrar’s request form to choose “Active Learning Environment” from the Room Attributes dropdown in the Characteristics menu. 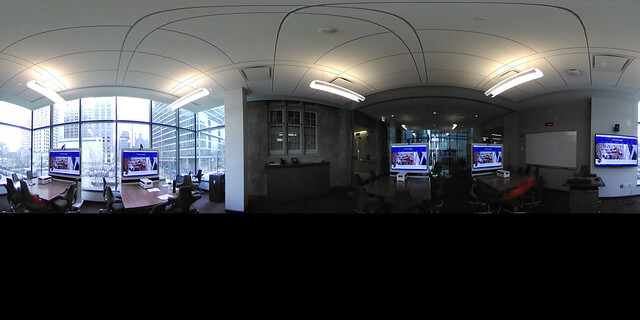 Visit www.25Live.collegenet.com/northwestern and login using your NetID to search for and reserve available spaces. Mozilla Firefox and Google Chrome are the recommended browsers for accessing RES. Users are strongly discouraged from using Internet Explorer. For technical support, please contact gp-classrooms@northwestern.edu. Some of the spaces listed below are only available to reserve through the room owner. In those cases, we have included the relevant contact info to help you get connected.